Asylum of the Daleks – I’ve Seen it! Yes, I was at the NYC premier and it was brilliant. No, I can’t say a word about it, of course, but it is an amazing episode. Make sure you catch it, on the 1st, when I’ll be watching it again. Timey-wimeness of course, means that the Pond Life mini-series that is supposed to lead up to the episode, Asylum of the Daleks, will have to be watched out of order, but I look forward to seeing how they get to where they are in the start of the episode. My flurry of 3d printed cufflink creation continues – and again I’m posting the Doctor Who inspired ones (not the ones inspired by my work, because some include art that’s not public yet). 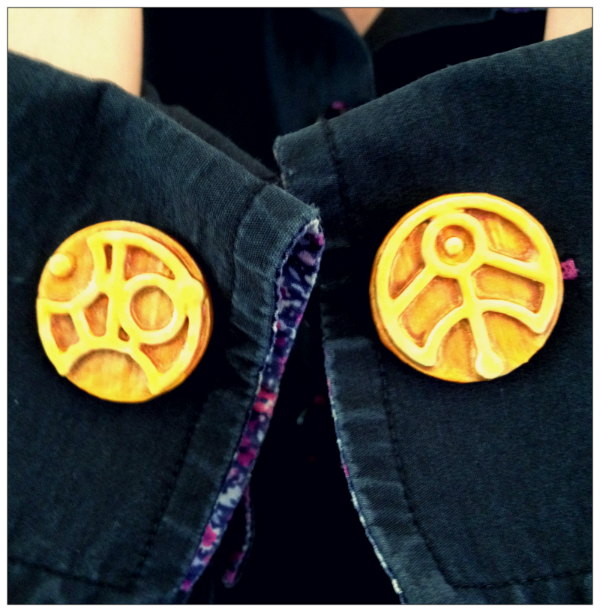 These cufflinks have ‘circular Gallifreyan‘ on them – a non-official, fictional writing method inspired by Doctor Who. My printed, painted, TARDIS shaped cufflinks. 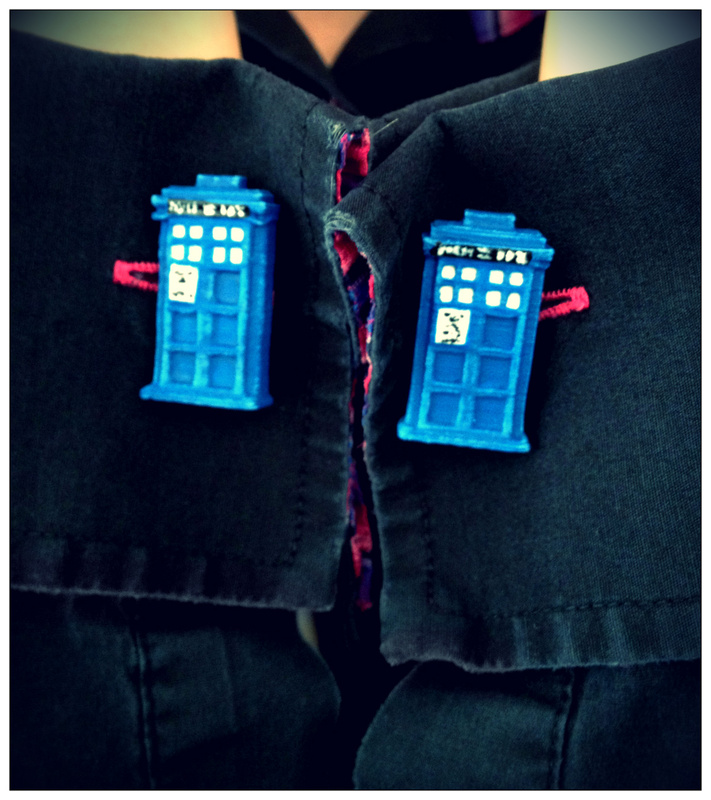 Not much more to say, but that one evening I despaired over not having TARDIS cufflinks, and by the time I left for work the next morning, I was wearing the above pair. Printed on the 3d printer, sanded, smoothed with acetone-plastic slurry, undercoated, painted, drybrushed and glued! Easy peasy. 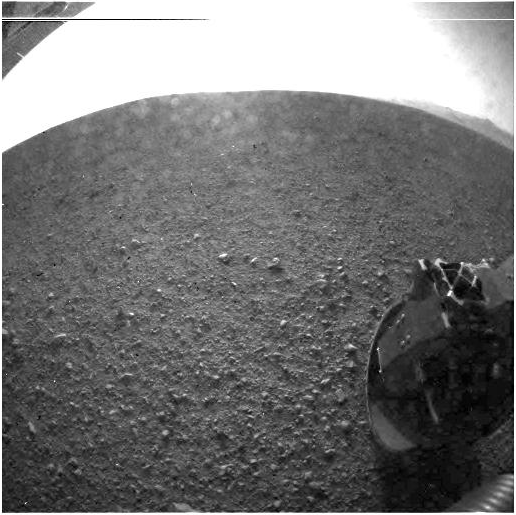 The Martian Touchdown – Curiosity Wins the Day! The most envy-inducing holiday photo ever – Curiosity on Mars. Oh happy day! On the 6th of August, 2012, the Curiosity rover made successful touchdown on the surface of Mars. I stayed up last night to watch the control room feed, streamed live into my living room via the power of the internet, and I was SO HAPPY for those excited men and women the moment they called out ‘touchdown’. I was almost in tears, just as they were. More thoughts on this, and what it would have looked like if Curiosity had thrown a few Instagram-like effects on her snap, after the jump.